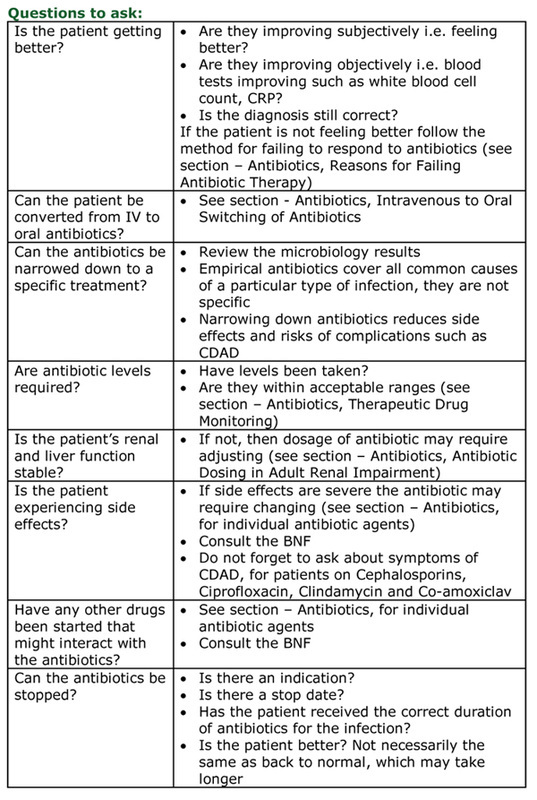 Patients on antibiotics should be reviewed every day to ensure they are responding to treatment and that they are not getting any side effects. There are many reasons why patients might fail to respond to empirical treatment regimens. The following is a method for exploring these by answering each question in turn.